I consider myself incredibly fortunate to be born into a family of entrepreneurs; their rigorous work ethic, their commitment to their respective businesses and their ability to establish themselves through sheer dedication and hard work inspired me to bring out my best from a very young age. Growing up I watched my mom create beautiful exclusive ensembles, and seeing her work transform pieces of fabric into expertly crafted apparel led me to become fascinated by the world of fashion. I was lucky to have received a hands-on education in this industry, travelling extensively with my family to everything from glamorous shows, to the homes and workplaces of weavers and craftsmen in the rural depths of Asia. I cherished these experiences and consider them invaluable. I knew I when it came to my professional life, I wanted work with my mother towards the growth of the company she worked so hard to build, NABILA. However, before I could join the family business, my parents wanted to ensure that was capable of being entirely independent on my own merit, without their support or assistance. After graduating high school from International School Dhaka, I moved to Australia to pursue my higher education and lived there on my own, without the familiar comforts of my life and family in Bangladesh. I completed two Bachelors simultaneously at Monash University, one of which was an LBB, and the other, Banking and Finance. It was only after the completion of my degrees, my professional placement and my admission in the Supreme Court of Victoria, Australia that I delved back into the world of fashion. I lived in Melbourne, the fashion capital of Australia, and I wanted to make the most of my opportunities. I wanted a multi-faceted understanding of the fashion world, desiring the knowledge required to be a creative professional, with skills in both the business and creative fields. I enrolled into my PhD program, pursuing research which explores the fashion and apparel industries of the Indian subcontinent, particularly that of Bangladesh. 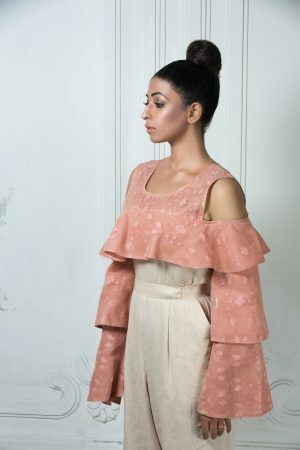 At the same time, I also continued to learn the skills required to be a fashion designer from Australian universities, ranging from sewing to pattern-making, draping and moulage. 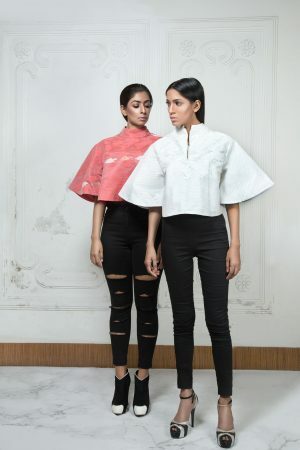 After years of working with fashion and learning about fashion, I finally launched my own collection, a range of modern-ethnic apparel with their roots in heritage handlooms in 2018. I was delighted to find the collection was met with great enthusiasm and was appreciated by many in the community. 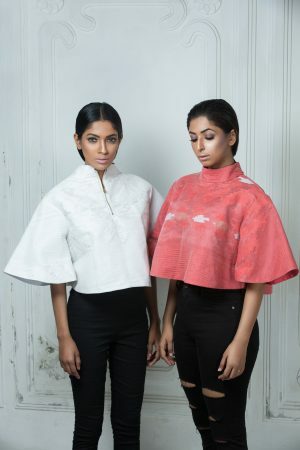 I aimed to create a range of clothing with our handlooms, that could permeate our national borders and could become a part of an international wardrobe. For all my future collections, I believe my desire will be the same. I take immense pride in my Bengali cultural identity and adore incorporating its elements into my multicultural existence. My designs are a representation of who I am and what I love, and I strive to continue to make pieces that are unique, and that are an embodiment of my identity.